The Gardens of Luciano Giubbilei examines twelve significant gardens from the revered gardener’s portfolio. Each project is fully documented, from the preparation of mood boards to final planting and finishing. Sections on site development, nursery production and the sourcing of plants, and the artists and craftsmen with whom Giubbilei works complete the in-depth account of his working methods and sources of inspiration. Fully illustrated with planting plans, documentary images and photographs by Steven Wooster and opening with a foreword by Tom Stuart-Smith, this is the definitive work on the gardens of an acclaimed designer. Explores twelve gardens from the revered gardener’s portfolio. Filled with planting plans and blueprints, site development and the production of each nursery. 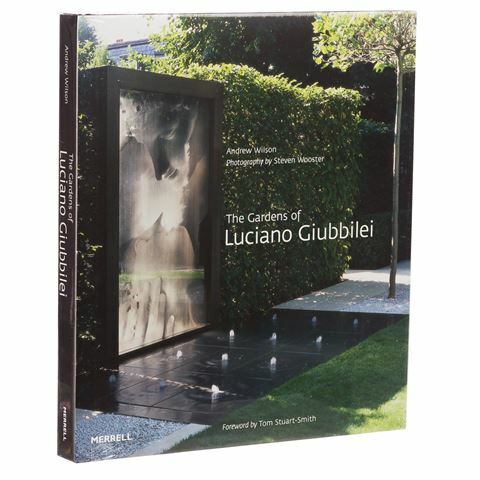 Includes the testaments of various artists and craftsmen, providing an insight into Giubbilei’s work methods. Comes with a dust jacket. Dimensions: 26cm (l) x 30cm (h) x 2.5cm (w).